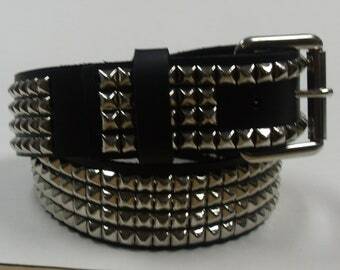 3 row studded belt, 1 and 3/4" wide. THIS IS A GREAT BELT. belt has snaps making the buckle interchangeable with your own buckle. 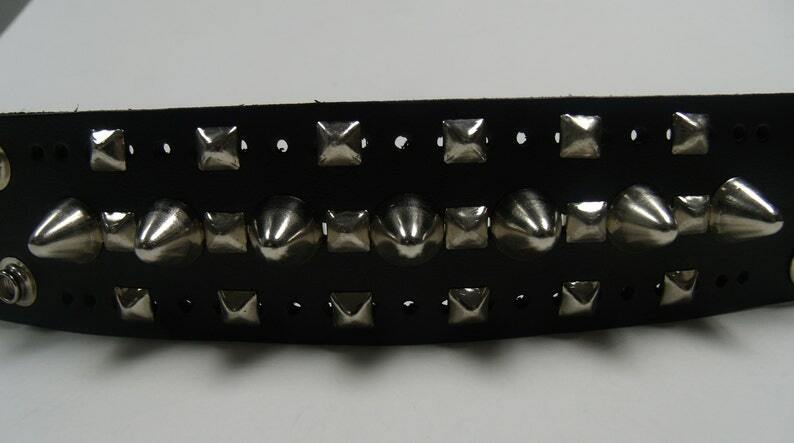 1-3/4" ( 45 mm ) Wide Genuine Leather Belt. sizing is to the center hole. There is 7 holes for adjustments. for a good fit you should add an inch or two to your waist size. if you need a size smaller or larger than I have listed please ask and I can customize for you.